Comments: Sarah Jane Fowler (Nee: Nutter) | Madison WV US | 1941-1960 | Comments: She was born in Clay County, WV in 1884 and died 1965 in Boone County, WV. Married twice. 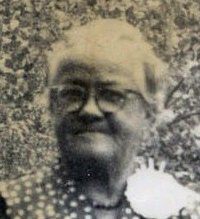 First Husband was Monroe Shamblin, second husband was Joab Fowler. Had eight children in all.